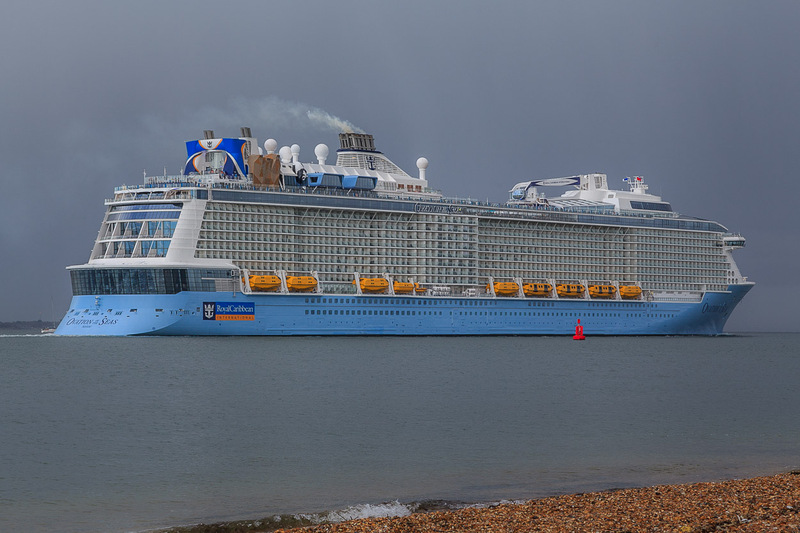 Living near Southampton, I’m well-placed to capture shots of some of the largest cruise liners in the world. 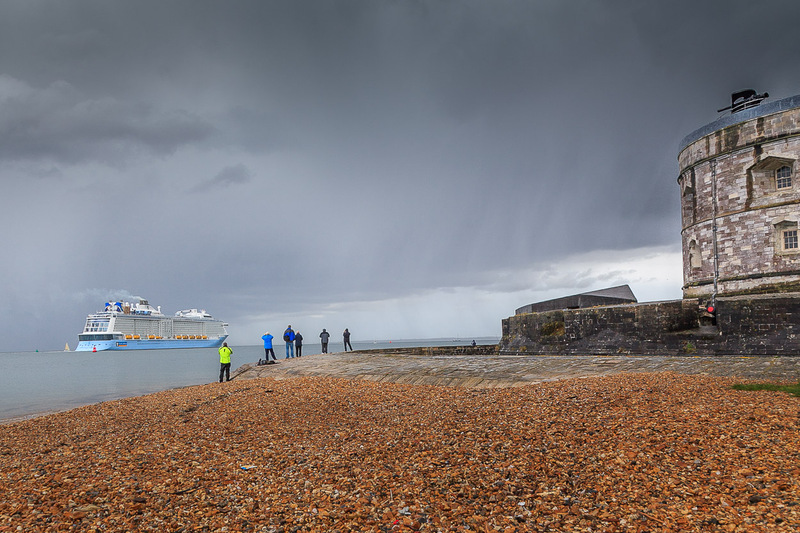 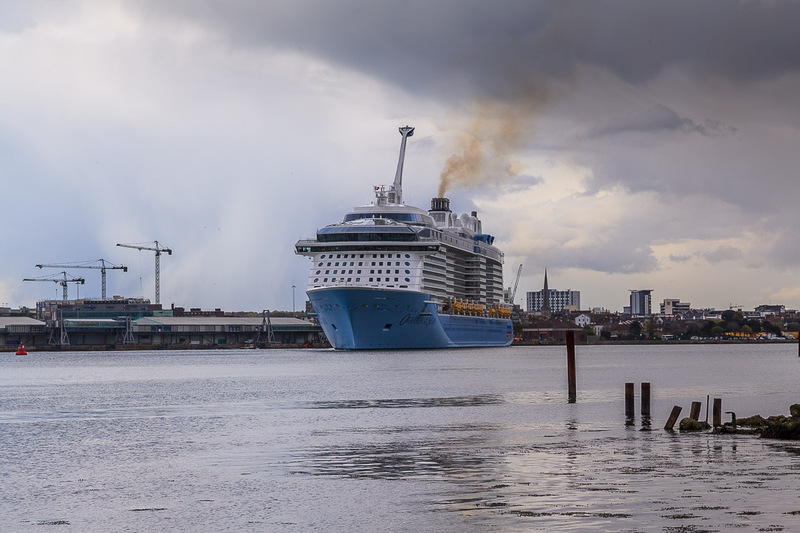 Yesterday afternoon, under rather stormy skies, Ovation of the Seas leaving port. 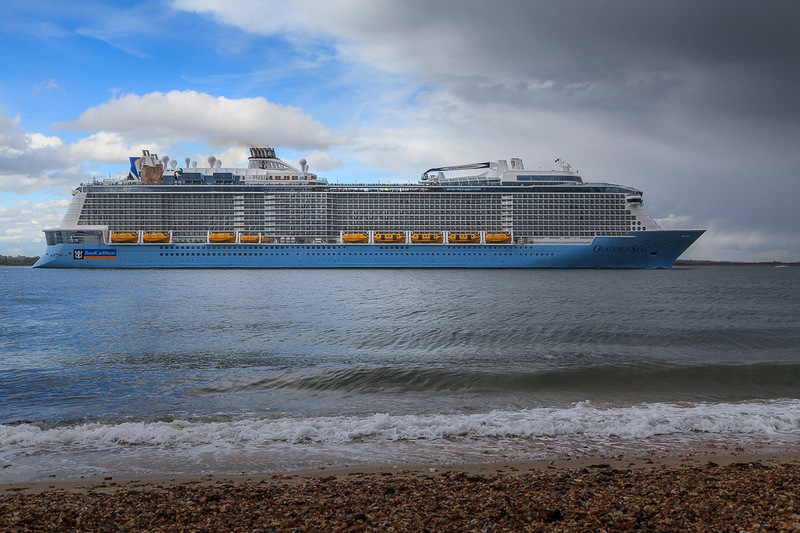 on sea trials before sailing to her new home port, Tianjin, in China. 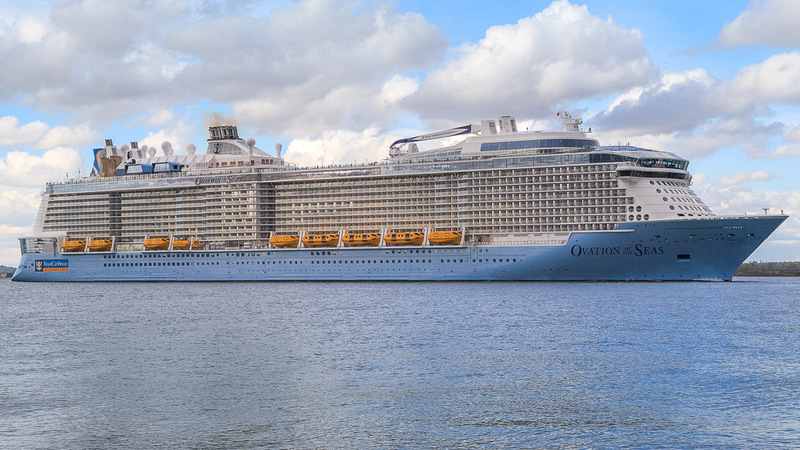 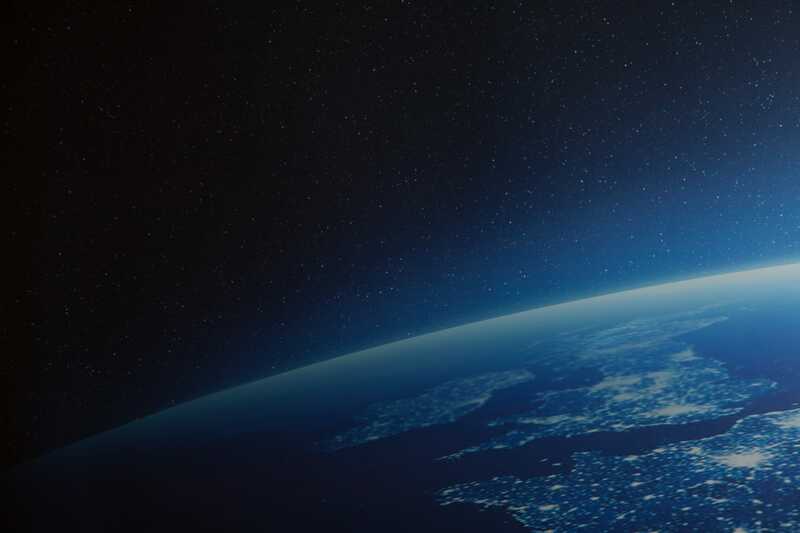 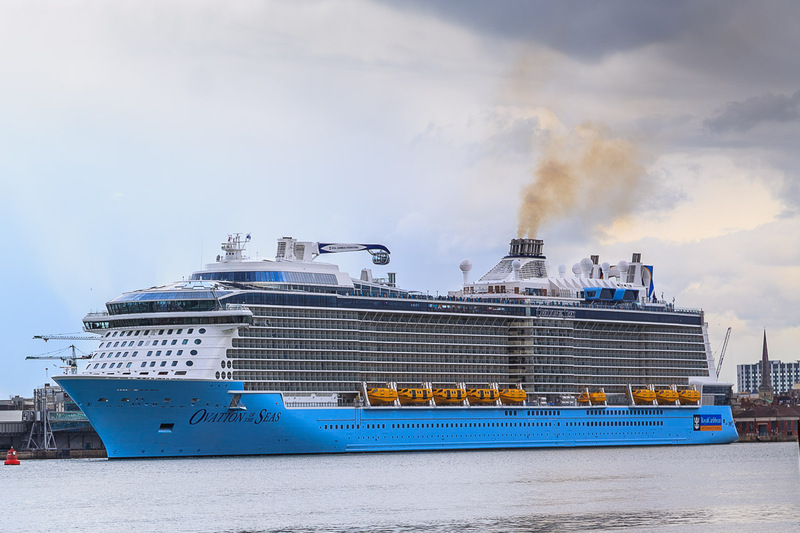 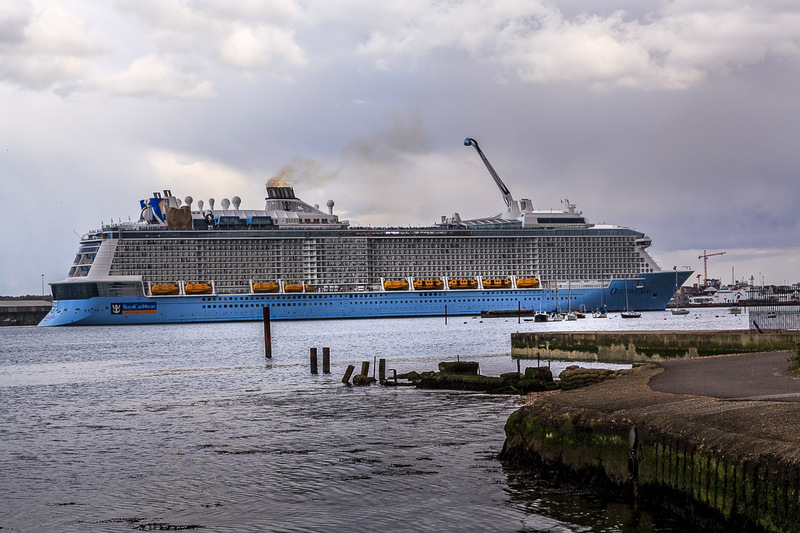 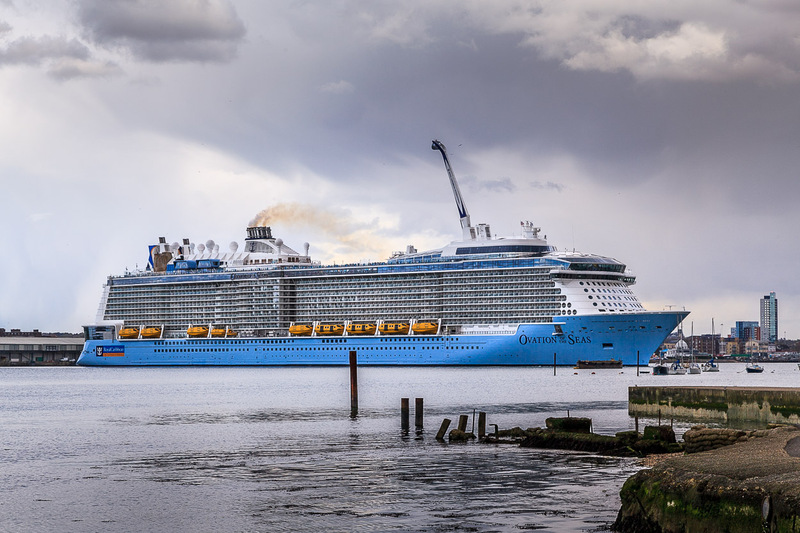 displacing nearly 170,000 tonnes and 1,142 metres long, the latest addition to the Royal Caribbean fleet really is a leviathan.